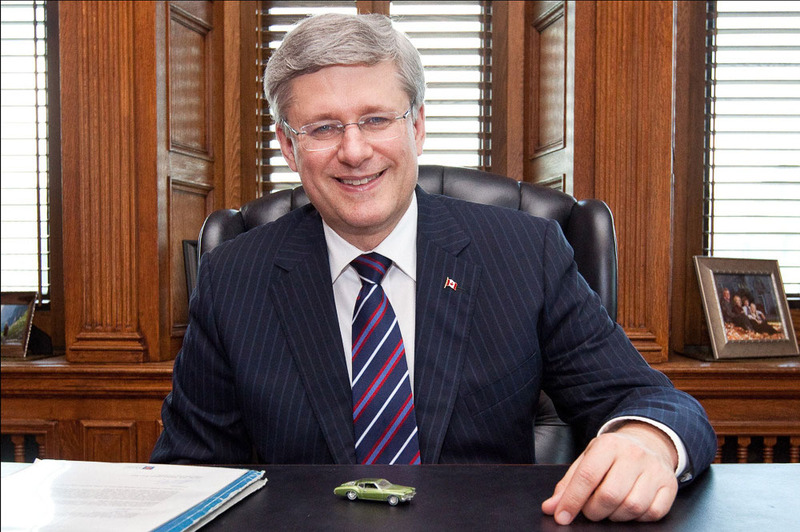 Tending To Business With The Prime Minister | Miguelito's Little Green Car. We are all connected. Stephen Harper grew up in a middle class family in the suburbs of Toronto. After graduating from high school, he moved to Alberta where he worked in the oil industry went on to earn bachelor’s and master’s degrees in economics at the conservative University of Calgary. He is known to have avidly followed the careers of Ronald Reagan and Margaret Thatcher. He began his political career by working as an executive assistant to a Progressive Conservative Member of Parliament before becoming one of the founding members of the Reform Party. He was eventually elected to the House of Commons. In January 2006, he became Canada’s first conservative prime minister in 13 years after leading the Conservative party to a minority government victory. He served as Prime Minister from 2006 to 2015. He was the second Canadian Prime Minister born in Toronto. When he met his wife Laureen she was a graphic designer. During high school he was a member of the Young Liberals Club. He’s a die-hard hockey fan. He published the book A Great Game: The Forgotten Leafs and the Rise of Professional Hockey. He enrolled at the University of Toronto but dropped out after two months. He’s a piano player. He frequently performed with a rock band at Conservative Party events.